We have a wall behind the kitchen island that we left alone when we renovated the kitchen. 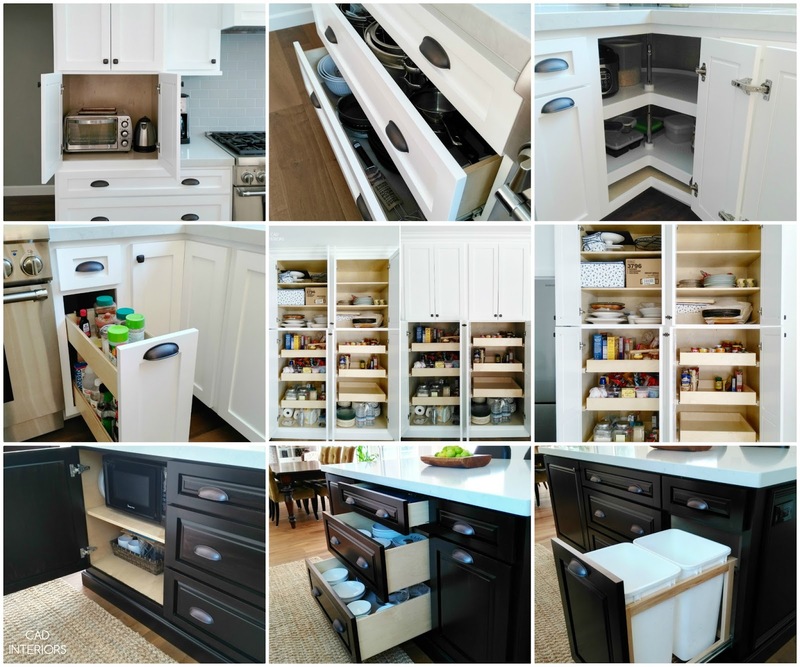 I preferred to keep the area "open" since we incorporated more than enough functional built-in cabinetry in the kitchen. 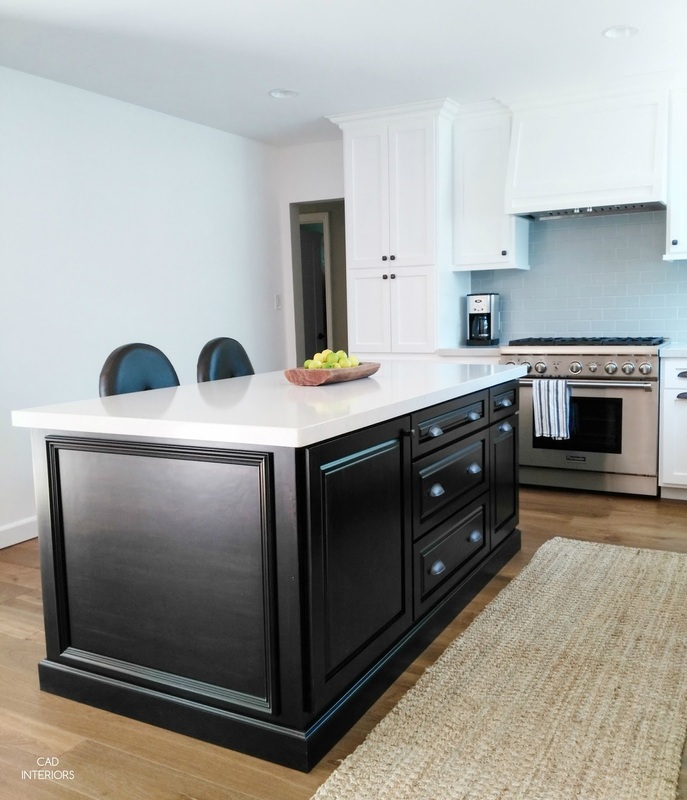 You can see the full kitchen reveal, including before and after photos, here. 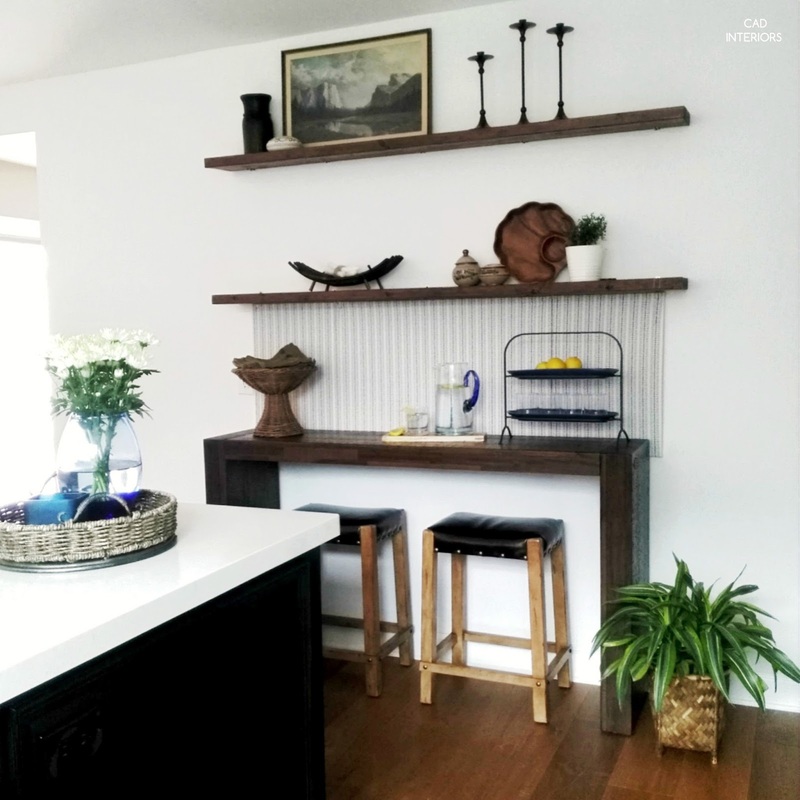 We added our own form and function to the wall by adding this double-duty "household workspace" and serving area for when we entertain. This set-up addresses aesthetics and function while maintaining the "openness" I wanted. My younger son does his homework here! The wall space between the lower shelf and table also acts as our "family command center" (we also have a wall calendar nearby that isn't shown). We post notes, reminders, school memos, etc. 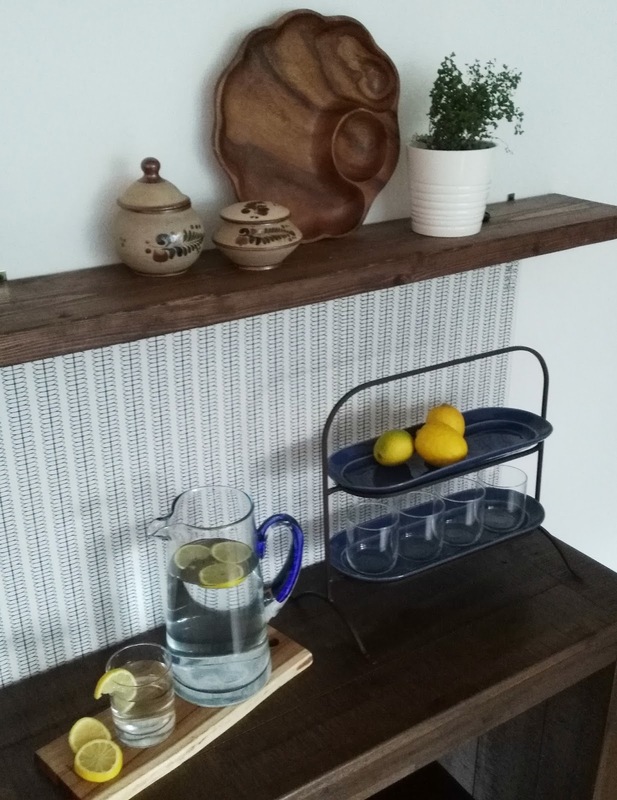 on the trio of upcycled cork boards that line the wall. I simply wrapped three bulletin boards that we already had in a Nate Berkus patterned fabric to marry them together! The fabric-covered bulletin boards look more visually appealing too. 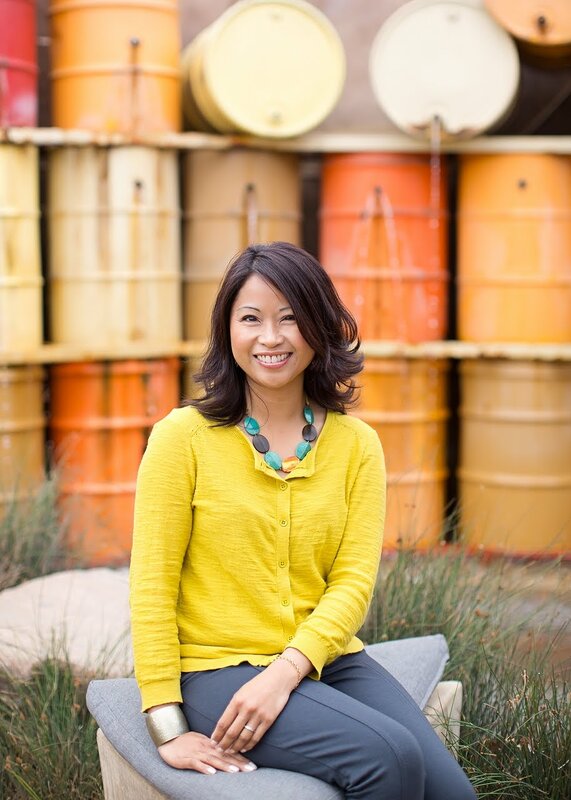 Right now, the space is styled for our summer home tour, which I'll be sharing on the blog TOMORROW! But when we entertain, we do use the table as a serving area for drinks or desserts. It also comes in handy when we need extra seating space. 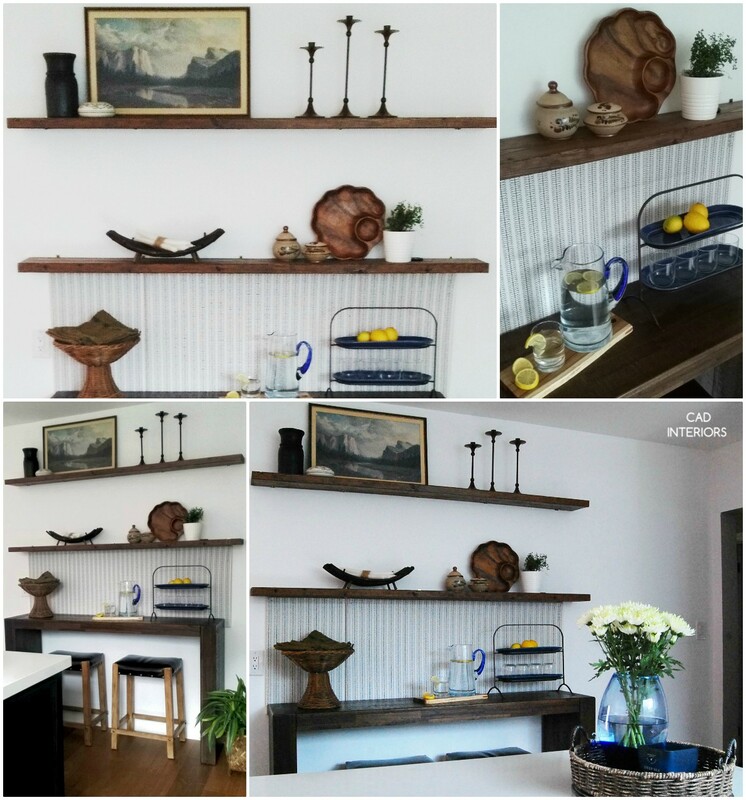 Rather than buying reclaimed wood shelves (we have bigger priorities on the renovation front), we DIY'd the look instead. We stained and sealed two six-foot long wood lumbar pieces (dimensions 1 1/2 in. H x 7 1/2 in. D x 72 in. W), then mounted them to the wall using heavy-duty brass brackets. It was such a quick, easy, and inexpensive project. The most difficult part was finding the studs. 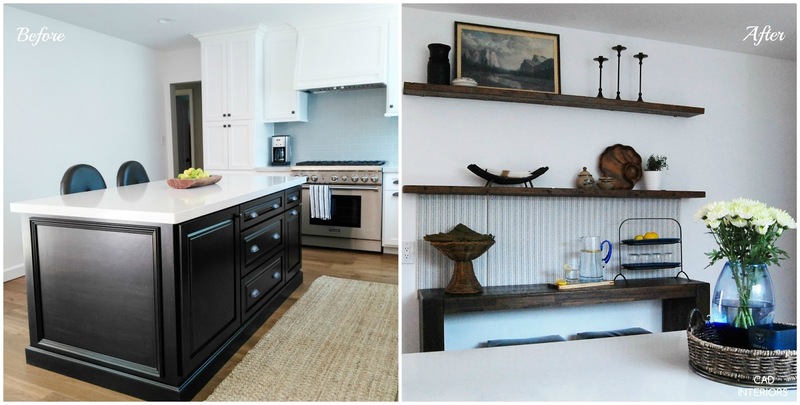 Here's another look at the before and after transformation of this part of the kitchen! Love it! Looks great and functional! 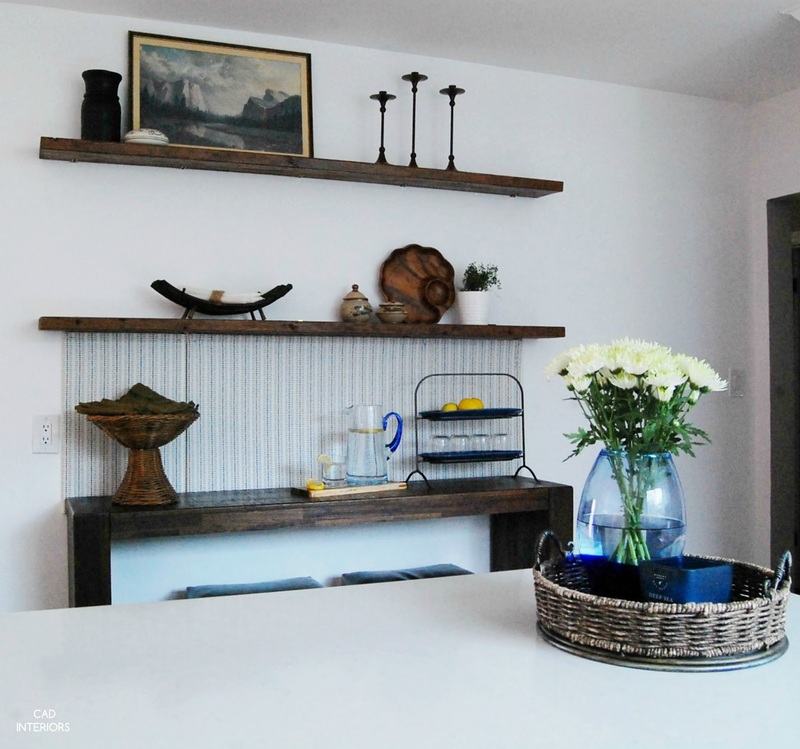 The shelves and counter are gorgeous and of course, styled to perfection!